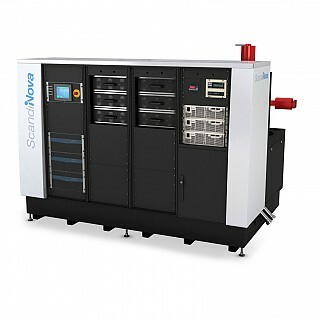 To offer a complete Radio Frequency (RF) system, ScandiNova integrates sets of subsystems, such as focusing solenoid power supplies, vacuum power supplies, RF amplifiers, directional couplers etc and controls them with our specially designed control system ScandiCat. The integration of all these components are made with the skills earned through our background in the accelerator industry and make the use of these RF systems adapted to the needs of the RF engineer. The well-working partnership with the leading suppliers secures a robust solution that meets the high market demands. he CCPS is the main power source of the system. It converts the input AC mains power to a regulated DC voltage around 1000VDC. This DC Voltage is used to charge the Switch Unit. A trigger pulse gates all the Solid State switches in the Switch Unit and discharges the stored energy until the required pulse length is obtained. The switches are then turned off.